Marsa Alam is the best resort town on the Red Sea in Egypt that is known for its sandy beaches and beautiful Coral Reefs. Among its unique beaches, there is Abu Dahab beach that is famous for its amazing turtles that you can see while driving. There are also some other attractions in Marsa Alam such as the Temple of Seti I at Khanais and the gorgeous Emerald Mines. It is located in southeastern Egypt on the western shore of the Red Sea, where it is closer to the Ancient sites of Upper Egypt than Cairo or Alexandria. Marsa Allam used to be a sleepy fishing village but the area around it has a very interesting ancient history. Gold and emeralds were minded in the barren and the road leading from Marsa Alam west to Edfu in the Nile Valley follows an ancient route that was originally built by Ptolemy II. Phosphate mining is considered today to be the main industry of the area. The climate of Marsa Alam is a subtropical desert. It is sunny most of the day and in winter the weather is pleasant but it can be a little bit cold for swimming so it’s actually based on the day but in summer it’s very hot and sunny. The temperature of the Sea is cool and makes it a very exciting activity in Marsa Alam. The best time to go there is between the middle of March, the middle of April, between the middle of October, and the middle of November as during this time you can enjoy a warm weather ( Not so hot & Not so cold ). Abu-Dahab Beach: It is a rare sandy beach in Marsa Allam, where you are surrounded with magical reefs and amazing cafes & beaches that are close to most hotels in Marsa Allam. Wadi El-Gamal National Park: It is a place where you can have a visit to the ancient emerald mines and the ancient Egyptian Temple. Sharm El-Luli Beach: It is described as the earthly paradise where you can enjoy beautiful reefs, amazing weather, and astonishing turtles. Hamata islands: They are fringed with gorgeous coral reefs, white sandy beaches, and special Lagoons. Sataya Reef: It has clear crystal waters and suits divers and snorkels. There is a lot of marine life that you can discover there. El-Quseir Town an Castle: It is the oldest town on the Red Sea that contains an amazing harbor and a fancy Ottoman Castle. El Qulan Mangrove Forest: There you can see the Mangrove trees and enjoy the beautiful wild Lagoon. It is a magical place of nature, where you will see little Bedouin children who live and work around the coast. Emperor Divers Marsa Alam: It is a place where you can have boat diving and visit the dolphin house. There you can explore the best sites of diving on the Red Sea. Scuba & Diving: is the best way to explore the world below and it doesn’t need much effort to do, just some practicing and you will be professional. Snorkeling: In Marsa Allam, you can dive with professional divers with gorgeous white Dolphins. Desert safaris: you can enjoy a fantastic sunset trip by taking quod bikes that allow you to explore the terrific deserts of Marsa Allam. Submarines: lets you explore life underwater without getting wet. Trips to Luxor and Aswan to get into the real life of the Ancients through visiting the temples of the Ancient Egyptians. Trips to Cairo, the capital city of Egypt, where there many attractions just like the great Pyramids and the Valley temple. Nile Cruises, which are your best chance in life to enjoy both culture and entertainment that take you into another world. 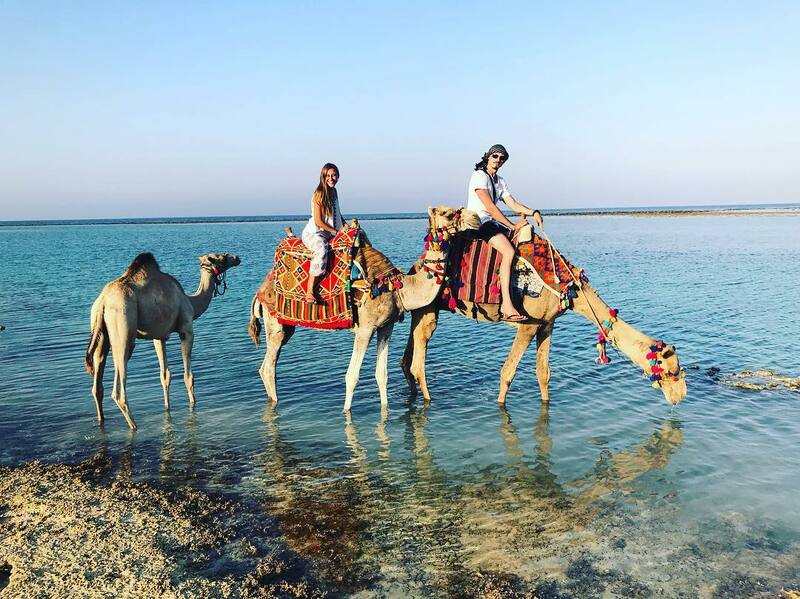 All of these activities you can find in our Marsa Alam day tours.